A patent protects a technical invention. As a patent holder you may prohibit other people the commercial utilization of the protected invention. But how does a patent application work? 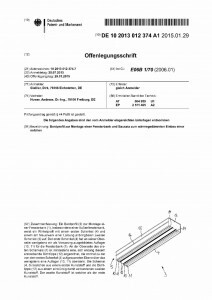 Please read what has to be taken into account for a German patent application. The general rule is: Only novel technical inventions based on an inventive step are accessible to patent protection. The invention must therefore be kept absolutely secret by the time it is filed since own pre-publications are also detrimental to novelty of the patent application. Excluded from patent protection are i.a. scientific discoveries and theories, games, business activities, as well as medical diagnosis and treatment methods (medical apparatus and medicine may, however, be protected). Acknowledgement of receipt: After the filing of the patent application, receipt of the application papers is acknowledged by the German Patent and Trade Mark Office by the transmission of an acknowledgement of receipt. The acknowledgement of receipt contains the filing date and the official file number of the patent application. examination for obviousness is first of all performed in which the patent application is examined for observance of the formal requirements. In this process it is examined among others whether the subject matter of the patent application is a technical one and whether the invention applied for is capable of being used commercially. The request for examination: The material patentability of the invention applied for, in particular whether it is novel and is based on an inventive step, is examined by the German Patent and Trade Mark Office only after the filing of a chargeable request for examination. The request for examination may be filed by the applicant or by a third party at any time within seven years from the filing date. If the request for examination is not filed within this term or if the examination fee is not paid, the patent application is deemed to be withdrawn. 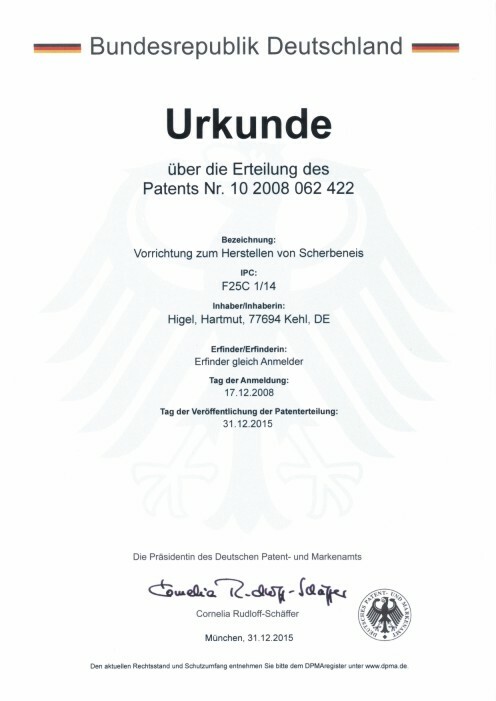 If the examining section of the German Patent and Trade Mark Office arrives at the opinion that the subject matter of the application is not novel or is not based on an inventive step, or that the patent application has other deficiencies, it issues an office action as often as necessary and requests that the applicant files a statement within a term mentioned in the office action. If the deficiencies are not remedied, the patent application may be rejected. The request for search: Prior to the filing of a request for examination, a chargeable request for search may be filed. The German Patent and Trade Mark Office will then ascertain the documents to be taken into account for the examination of novelty and of the inventive step. Patent applications abroad: Within one year from the first filing of a German patent application the applicant has the right of filing foreign applications, a European patent application and/or a subsequent application in Germany. The priority of the earlier patent application may be claimed, i.e. that prior art published in the period between the filing date of the first patent application and the filing date of the subsequent application is not detrimental to the subsequent application. 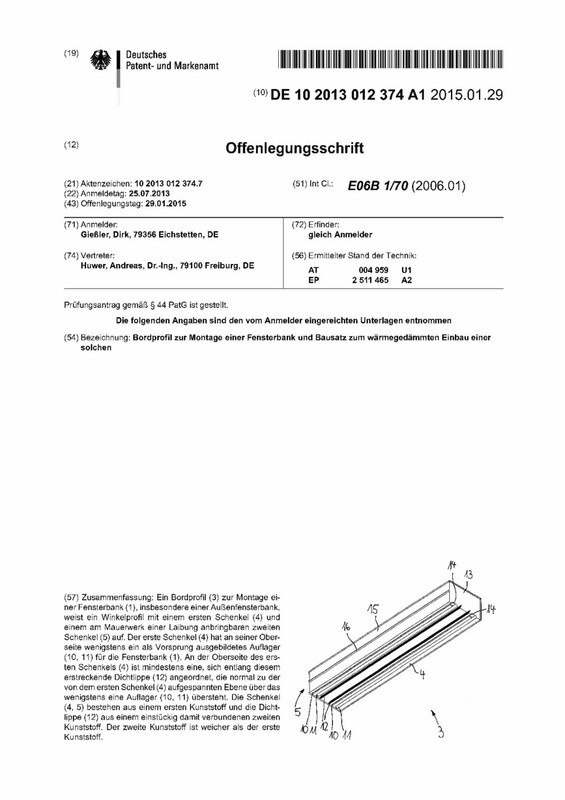 Offenlegungsschrift [patent application publication]. The result of the publication is that third parties may take free inspection of the official files of the patent application. After the publication of the patent application third parties making use of the subject matter of the application are obliged to pay adequate remuneration to the applicant on certain conditions. The publication, however, does not give the applicant a right of prohibition. Dividing out of a utility model: In the pending patent application procedure it is at any time possible to divide out a utility model application, which will then obtain the same filing date as the patent application. In the case of a patent application relating to a method there will, however, have to be taken into account that methods are not accessible to utility model protection. 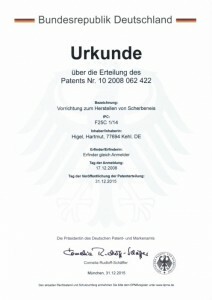 Grant of a patent: If, after the examination of the patent application, the examining section in charge of the German Patent and Trade Mark Office arrives at the opinion that it meets the mandatory requirements and that the subject matter of the invention is patentable, the patent will be granted. Grant of the patent will be published in the Patent Bulletin. At the same time, a patent specification will be issued which comprises the claims, the description and, where applicable, the drawings on the basis of which the patent was granted. From the time of publication of grant of a patent the patent holder has the right of prohibiting third parties the use of the patented invention, i.e. its manufacturing, offering, placing in the market, introducing or utilizing for commercial purposes. Towards third parties using the invention without authority, the patent holder has a right to injunctive relief and – in the case of intentional or negligent infringement of the patent – also a claim to compensation for damage occurred. Opposition procedure: Third parties may lodge opposition against grant of the patent within nine months from the publication of the notification of grant of a patent in the Patent Bulletin. If the opposition is deemed admissible, the examination procedure will be continued with participation of the opponent(s). If the patent was granted rightfully, it will be maintained; otherwise it will be revoked or maintained in a restricted scope. annuity has to be paid for the third and every further year, counted from the filing date, each in advance. The respective fee will become due at the end of the month into which the filing date falls. If the annuity is not paid or not paid in time, the patent application is deemed to be withdrawn and/or the patent expires.